Instructors are the backbone of a martial arts studio. They must not only be accomplished and experienced martial artists, but must also know how to communicate with students. 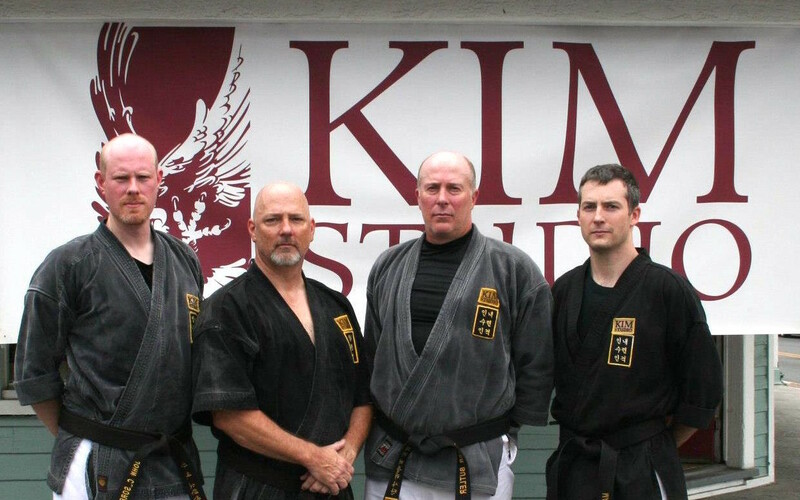 At Kim Studio, you will find only the most dedicated instructors who have a minimum of ten years experience within the dojo and most with twice that. Kim Studio’s instructors teach on a volunteer basis, passing on their knowledge and skills to a new generation of martial artists. Master Butler has been training in Karate and Tae Kwon Do at Kim Studio since 1993. He received his 1st dan in 1996. Master Butler received his 6th dan in 2013. Master Butler opened Kim Studio College Park in August of 2012. Master Butler’s classes consist of traditional training with a mix of self defense. Children’s classes—Monday and Wednesday from 3:00-4:30PM. Matt Gammon is a 7th degree black belt who often trains with his three children. In 2000 he was voted Kim Studio Instructor of the Year for his juniors class. Additionally, Matt teaches a self-defense class at American University and retired as a law enforcement officer for the state of Maryland. John began his martial arts training in 1990 at American University under Grand Master Roberts Jr. and received his 1st dan in 1998. As a teacher, John focuses on refining fundamentals and exploring practical applications of techniques from the forms. In addition to his training at Kim Studio, John has studied a variety of martial arts including judo, bagua and hsing-i as well as aikido and iaido while living in Japan. He brings an eclectic approach to studying and understanding the Kim Studio tradition. John is also the DC Metro Area Study Group leader for Daito Ryu Aikijujutsu Kodokai under Roy Goldberg Sensei. For more information on joining the study group email DCKodokai@gmail.com or visit the Kiyamakan the East Coast Kodokai hombu dojo. Matt Jochum began training at Kim Studio in 2002. That same year he was awarded Student of the Year. Two years later he tested for 1st Dan and began assisting Master Hill and Mr. Butler with classes in the Laurel Studio. His class focuses on forms and physical conditioning.